New for 2019, we are offering a Rookie Camp for campers entering 1st-3rd grade. This program will give campers the ability to try out Sprout Lake for an amazing 3 day, 2 night experience. Campers will live in a bunk, get to participate in special activities, and get a sampling of all of the programs offered at Camp Sprout Lake! Tuition for this program is $250, which includes all meals, bunking, and everything needed to have an amazing time at camp! 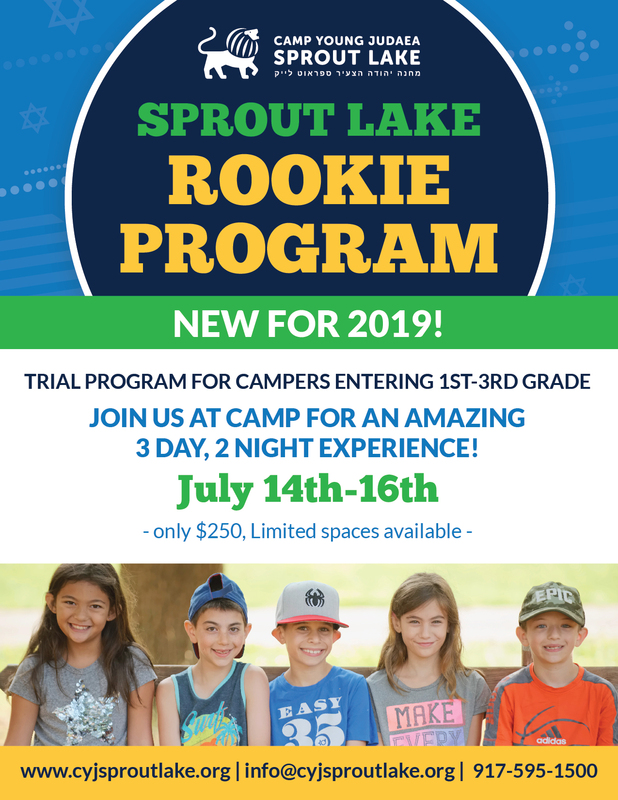 For more information on this brand new offering for 2019, please email us at info@cyjsproutlake.org.